Merry Christmas in July! 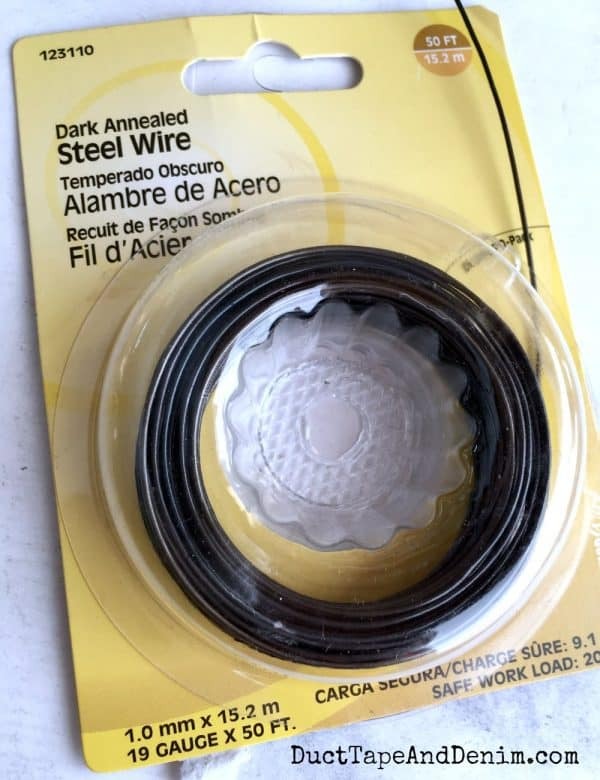 Although today’s project isn’t strictly for Christmas, I use these wire curliques mostly as Christmas ornament hangers. They are really simple to make, but let me show you how anyway. You only need one supply and a few tools to make these hangers. wire cutters – Do NOT use your regular jewelry wire cutters!!! This steel wire is much harder and will ruin them. Don’t ask me how I know…lol… I have an old pair of flush wire cutters that I set aside just for this wire. 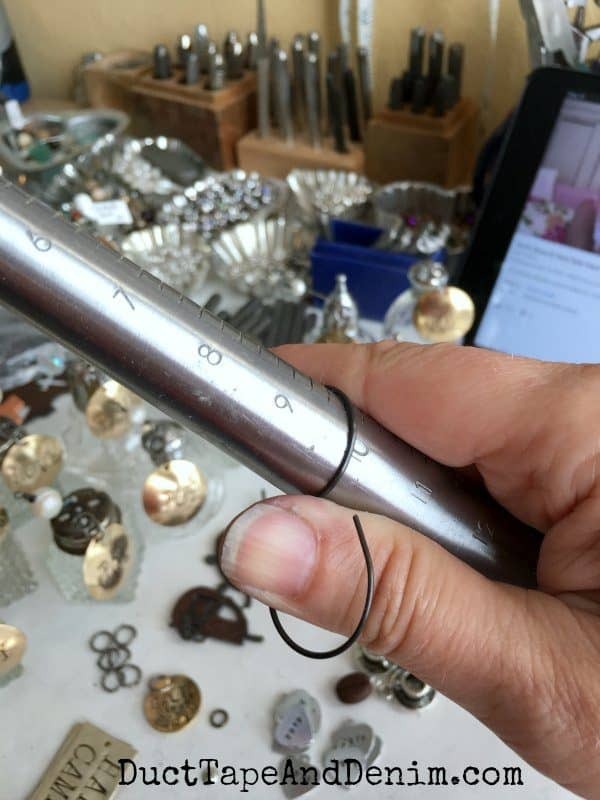 ring mandrel – Or anything round that’s about this size. This is just what I already had. First, I cut a piece of wire about 8″ long. You can make these whatever size you need, so play around with the length. I suggest that you cut the first piece of wire a little longer than you think you’ll need. You can always trim it down. 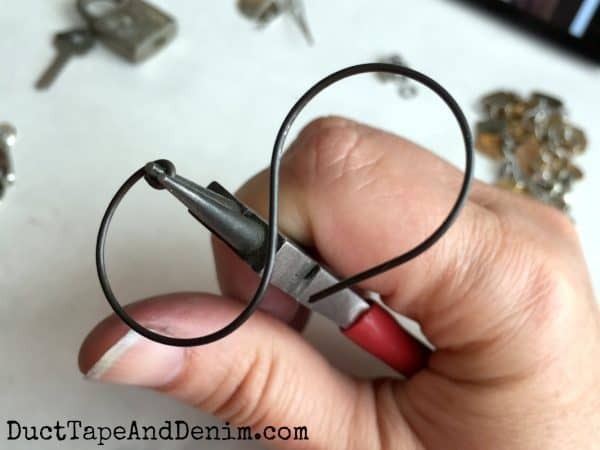 Wrap one end around the mandrel, flip the wire around, and wrap the other end the opposite direction, forming an “S” shape. If you want both sides the same size, make sure you use the same point on the mandrel. 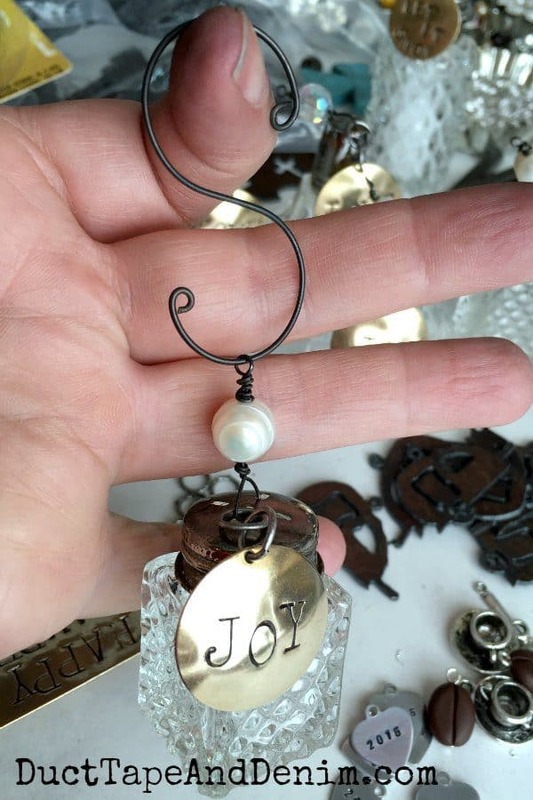 … when I use these on my vintage salt shaker ornaments I slip the ornament on before I make the second loop and the hanger won’t come off the ornament. Of course, you can make these with whatever wire you want. I’ve done them with leftover brass wire but the steel wire holds its shape better. Plus I like the dark color… goes better with my vintage vibe. 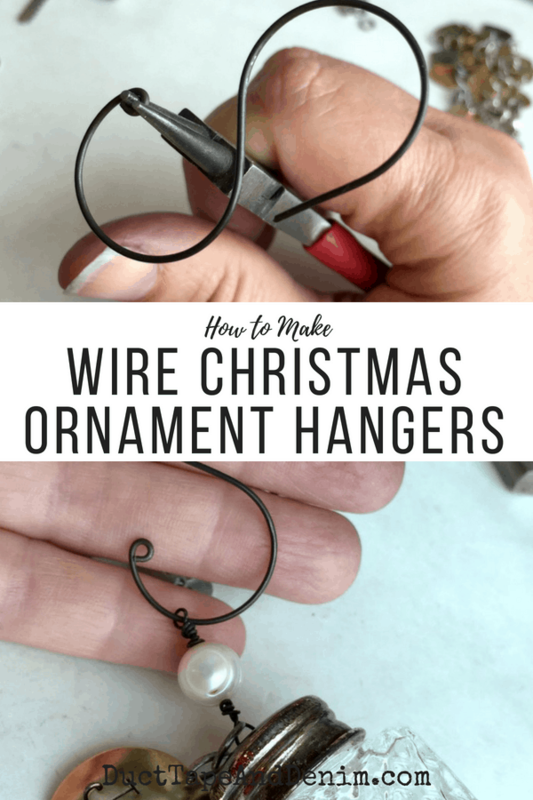 I hope this simple little project inspired you to make your own Christmas ornament hangers this year. Let me know if you try it. You go the whole nine yards when it comes to making Christmas decor! I’ll pin your examples so I’ll be able to find your post when I have time in the future to try making some. We’re trying to box up all the extra clutter around the house to put the place up for sale.